THIS PROGRAM IS FULLY SPONSORED. PLEASE CONSIDER JOINING OUR BOOK ANGELS PROGRAM INSTEAD! When there’s not enough money in the house for food, buying your child a book is next to impossible. We believe hungry minds ache just like hungry bellies and using our “one-to-one” model, we’ve come up with a simple plan…a way to help feed the hungry minds of children in our sponsored families…One Book At A Time. It works like this… We’ll match you to a child living in poverty in one of the communities we serve, give you the child’s name, age and reading level, and ask you to send him/her one new book, along with a letter each month. We ask that you commit to the program for one year, sending a total of 12 books and 12 letters. Our community partners will encourage the child to write back to you. You might think about asking your own children to help pick out each month’s book – something they have read and loved. And ask your kids to help you write the letter to the child it is going to. Or, form an in-office book club. We’ll link up each co-worker with their own child to send books to. Write and share letters at your book club meetings! 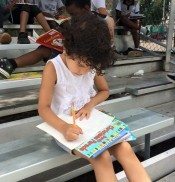 Books should be sent to your sponsored child care of the outreach center address we will send you when you receive the child’s names and age. If you are shipping books, note that the U.S. Postal Service has a special media rate, which is significantly cheaper than sending a 1st-class package. 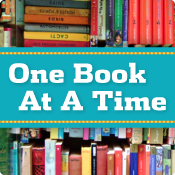 To join One Book At A Time, please email us at books@family-to-family.org with your name, address and phone number. If there is a particular aged child you would like to help, please tell us that as well, and we’ll try to accommodate! 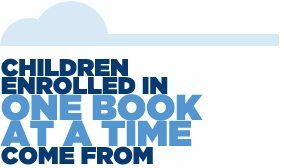 If you’d like to recommend an organization that serves children in need to be a recipient for One Book At A Time, please contact us at books@family-to-family.org. We are expanding and always looking for new groups of “book hungry” children to help! Please note: While your membership fee is tax deductible, your donation of books or other items sent to a specific child/person does not qualify as a tax deductible expense. “I would be a different person if I hadn’t been given books to read as a child. Sign me up… I would be so excited to share my love of reading and writing with a child.” – AnneMarie S.